The latest look at the new desert map gives an overview with finalized location names. The new overview, posted on Reddit by user bizzfarts, looks close to finalized, with the names implying a Central American setting. 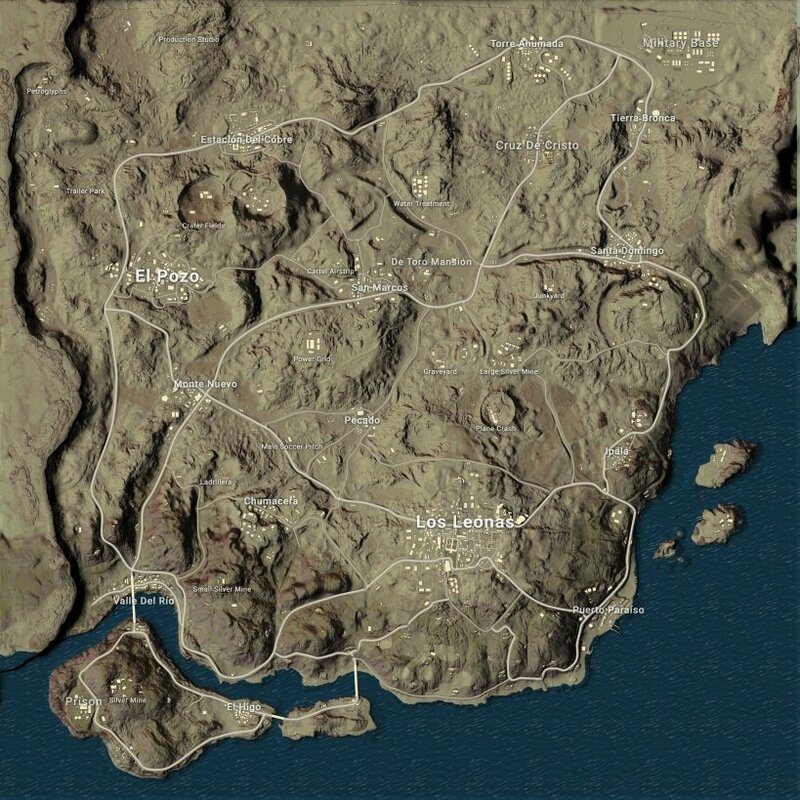 The infamously named Murderland has now become Santa Domingo, while the enormous town in the southern end of the map is called Los Leonas (formerly Hard Luck). The addition of shadows to the map (also added to Erangel on the current test build) give a glimpse of just how mountainous the terrain will be, perfectly fitting for the new vaulting features. Take a look for yourself below. You can access the full resolution image here. PUBG’s 1.0 launch is almost here, with the build currently live on the PC test server for the second time. The current test build includes a few extra weapons including the DP-28 light machine gun and Aug. Bizzfarts also notes some further datamined weapons include a Winchester 1894, a sawed-off shotgun and a Rhino revolver. PUBG is set for release on Xbox December 12, with the 1.0 update and desert map arriving on PC some time in December.